What would your home be like during a Florida summer without that fresh, cool air coming from the vents in your home? But how high do your A/C bills soar in the summer? It's a mixed emotion of comfort and anxiety if your cooling system is older, inefficient or not running well. Giddens is a Tallahassee air conditioning company dedicated to industry best solutions for our customers. We provide a level of personal attention that sets us apart from the rest. Combine this customer service with our experience and technical knowledge, and you've got a Tallahassee air conditioning company that can be trusted for any home cooling requirement! Let's be clear on one thing - if you wan't a reliable heating and air system, the design, sizing and actual install are paramount! You can purchase the most expensive and efficient air conditioner in the industry, and be completely wasting your money if the other details are not handled correctly. 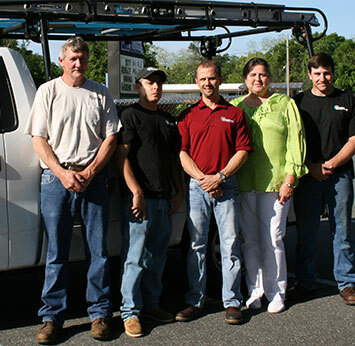 We not only use top-of-the-line equipment, but we do an install the right way - every time. Have you ever been there before? Someone mentions the air feels stuffy, and a quick check of the thermostat reveals it's set correctly? You lift a hand up to an air vent and to your dismay, it's blowing warm air! In no time your house is an oven. Call us with such an emergency as we can fix any make and model of equipment. Plus, we diagnose accurately. We don't replace equipment that doesn't need replacing! You'd probably be shocked at how often that happens! So don't delay -- for Tallahassee air conditioning solutions that are second to none, call Giddens today at (850) 562-0300. You're not the proverbial number with our company. We don't merely sell equipment, but we install and maintain solutions that keep our customers comfortable through every season. When you're cold, we warm you up. When you're sweating the heat, we bring the cool air! Isn't it time you experienced the Giddens difference? We think it is...try us today at (850) 562-0300 and experience true indoor comfort. An indoor comfort system is a lot more than just temperature control. It's equipment located inside and outside the home that works together to control temperature, humidity and air quality. In fact, air quality components are becoming more important as homes are built to be more energy efficient and as modern materials contain more VOCs that affect health! Call us for a free estimate to enhance the comfort and health of your home. 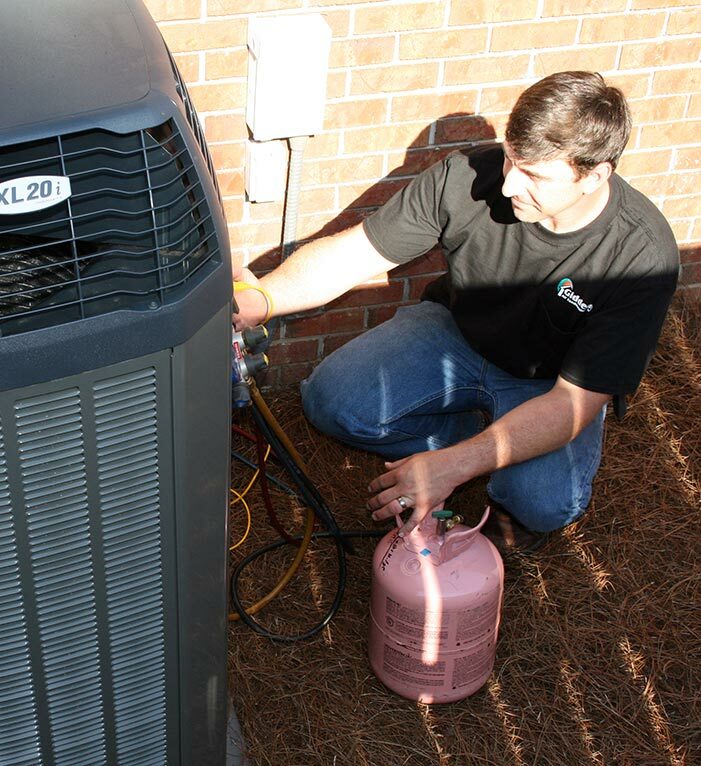 Our Tallahassee air conditioning service doesn't stop with residnetial. 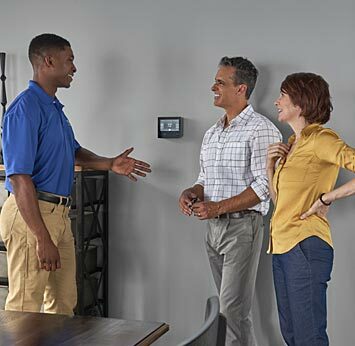 As a certified Trane® Comfort Specialist, we bring out expertise to the commercial arena to provide heating and air systems that you can rely on when your business needs them the most! 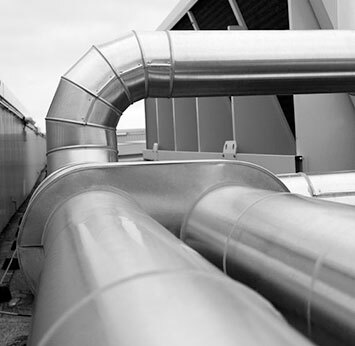 Technology has changed commercial heating and air conditioning systems over the past decade. Modern equipment is advanced, and we possess the proper skill sets required. Who ever thought heating and air could be "cool"? But you know...now it is. 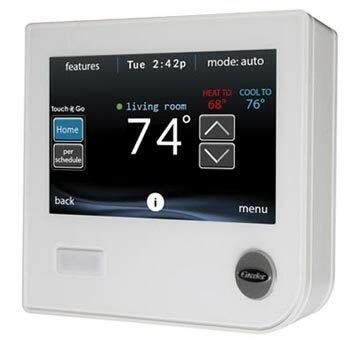 For example, take the digital thermostats that not only give you a weather forecast, but offer control from a smart phone! You can turn on the A/C when you leave work, and walk into comfort. And it doesn't stop with thermostats. Variable speed fan motors, modulating furnaces and other enhancements make indoor comfort better than ever before. Thanks for visiting us online! We're a Tallahassee air conditioning company that will change the way you stay warm and cool in your home! We know you'll love our services. In fact, we guarantee it! Call (850) 562-0300 today and experience the Giddens difference.